Naples, Florida - The Florida Fish and Wildlife Conservation Commission and the U.S. Fish and Wildlife Service have initiated a conservation agreement under section 6 of the Endangered Species Act (ESA), which will give full-agreement power to the State in the matters of threatened and endangered species management. Sierra Club applauds the Center for Biological Diversity, the Conservancy of Southwest Florida, and the Everglades Law Center in their litigation against the U.S. Fish and Wildlife Service. The groups filed a notice of intent to sue on Thursday, March 28, 2013. This agreement will give full power for FWC to issue incidental take permits of threatened and endangered species without Federal review, thus violating the intended purpose of the ESA to co-manage species protection by both State and Federal authorities. Incidental take is defined as “harass, harm, pursue, hunt, shoot, wound, kill, capture, or collect, or to attempt to engage in any such conduct,” in reference to an action against a species. Diverging from all previous Section 6 Cooperative Agreements, FWS will delegate permitting authority for incidental take on activities and projects that occur in protected species habitats. Section 6 agreements were historically set up to provide cooperation between state and federal agencies for such activities as education and scientific research. This new agreement would now allow the state to solely permit impacts from development, construction, and mining, which does not follow the intended purpose of Section 6 under the ESA. Finally, this agreement ensures no provision of appeal to FWS. A checks and balance system is needed for independent scientific review of species, and projects that will impact them and their habitat. This new agreement will ensure that does not happen. 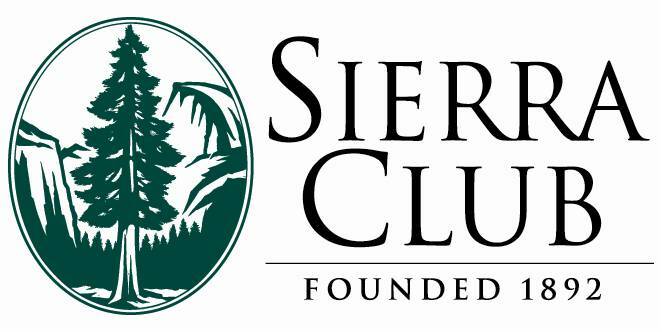 “Given the recent economic and financial hardships of the State, Sierra Club feels that the scope of the work cannot and will not be properly managed by a single agency, especially given the recent employee and budget reductions of the FWC,” stated Marian Ryan, the Sierra Club Florida’s Conservation Chair. “This is an erroneous decision and one that will impact the future of Florida’s green spaces, and threatened and endangered species for years to come,” said Meyer. "We do not want to see projects rubber-stamped without federal review, especially in regards to our state’s most imperiled species." Last Friday, Senator Bill Nelson (D-FL) sided with Big Oil and voted to support the Keystone XL tar sands pipeline. I was sorely disappointed by this vote, particularly because Nelson has been a true ally and strong champion on so many of the issues near and dear to the Sierra Club's heart. Even during last Friday's so-called "vote-a-rama" on the 100-plus amendments to the Senate budget resolution, Senator Nelson stuck with us on some key votes! He voted the right way on an amendment that would've undermined the Environmental Protection Agency's authority to issues climate pollution standards, he voted the right way on an amendment that would've undermined EPA's recent mercury and air toxics standard for power plants, and he even voted in support of a carbon tax! Senator Nelson has been our top leader in the Senate against expanded oil drilling in the Gulf of Mexico, and he has joined Sierra Club in demanding that BP fully pay the cost of restoring the Gulf and its coastal communities following the Deepwater Horizon disaster. We also know Senator Nelson's heart is in the right place, and that he actually wants to take action to address climate change -- which is why it's so shocking he decided to join with some of Big Oil's best friends in the Senate and vote to support Keystone XL. If approved, Keystone XL would carry 830,000 barrels a day of the world's dirtiest fuel over the Canadian border, across thousands of U.S. rivers and streams, so that it could eventually be delivered to refineries on the Gulf Coast. Most of that product would then be exported to other countries. You may have heard some argue that it's no big deal; tar sands will be developed anyway. Well, that's not the case. So far, Canadians have put their foot down to these thousand-mile-plus pipelines to carry this toxic sludge to their coasts, so the industry is intent on gaining access to our coasts. And right now, Keystone XL is the best shot it has. Keystone XL is intended to get the tar sands industry's dirty oil onto the international market, allowing it to greatly expand its polluting industry. As a climate champion, Senator Nelson should know better than to side with Big Oil on an amendment like this. Although President Obama is still the ultimate decision-maker on Keystone XL, he needs the support of senators like Nelson. Will you call Senator Nelson today at 202-224-5274 to ask him to change his stance and oppose the Keystone XL tar sands pipeline? Your recent decision to declare March 16th as “Save the Florida Panther Day” is a first step in the education and promotion of one of the rarest species within the United States. Your declaration that the panther is a “symbol of the natural character of Florida,” however raises some issues. Unnecessary roads, housing developments, and mining activities are currently carving up natural Florida. Our waters are filled with slime, our air is polluted, our lands are constantly under threat by development, and backdoor deals ensure that this treatment of wild Florida will continue for generations to come. Is this the type of natural character you are promoting? The last vestiges of panther habitat are under threat and the necessary measures to prevent this habitat destruction are being ignored. There is no critical habitat designated for Florida panthers. Mitigation banking for panthers does not add any new habitat for this imperiled species, but only sets aside a small percentage of land, while the rest of their current habitat is destroyed. They have nowhere to go. You have the opportunity to protect wildlife corridors that would ensure their safe travel throughout the state. You have the power to protect their last remnant of functioning habitat which is only 5% of their original habitat, and shrinking every day. If it truly is your intention to save the Florida panther, and not just create an arbitrary day, then protect their habitat from all further development by supporting a protected wildlife corridor throughout the state of Florida. In doing so, you will protect the greater Everglades ecosystem, the species of natural Florida, and provide a true service to all the current and future residents of Florida. Instead of “pausing and reflecting on the plight of the Florida panther,” take the action to ensure the survival of this species. Otherwise, this day of celebration will one day be a day of mourning for a species whose extinction you took no steps to prevent.